The infant daughter of Kelly Maines was kidnapped at birth, a victim of a black market adoption ring. Kelly has been searching for her daughter for eight years. 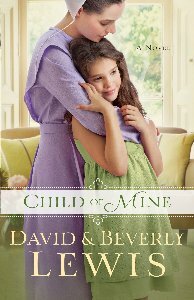 Child of Mine by David & Beverly Lewis is a wonderful story that touches the heart. Kelly Maines has been searching eight years for her daughter who was stolen at birth, a victim of a black market adoption ring. Finally, Kelly has a lead on a young girl that just may be her daughter. This young girl is the adopted niece of Jack Livingston and he has been rearing her since the death of her adopted parents. 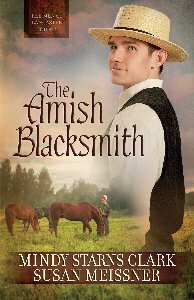 Jack travels a great deal in his work and when he is gone, Laura, an Amish nanny. cares for Natalie and loves her as if she were her own. Kelly arranges a chance meeting with Jack and this meeting leads to more meetings and Kelly realizes that she is falling for Jack and he is falling for her. This happens before she gets up enough courage to tell him the real reason they met. As Kelly gets to know Natalie she begins to wonder if Natalie is really her daughter. The authors did an excellent job in the development of the story. All the characters were so well developed that I felt as if I knew each one of them personally. I especially loved Natalie, a little girl that could steal anyone’s heart. All the scenes were so real that I could feel myself being right in the middle of what was happening. Dialogue was great and I especially loved everything that was uttered by Natalie. There were many twists and turns in the story and these kept me guessing as to which woman was really Natalie’s mother. When the real mother was revealed I must admit that I was somewhat surprised. The story had a great ending with everyone being happy and content. 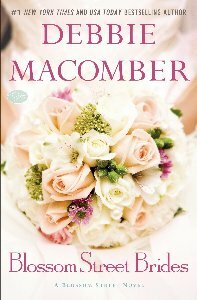 I recommend this book to anyone that loves a great story that has love, forgiveness, laughter, and tears. Holden Lang was a rock drummer who had fame, fortune, and a body covered with tattoos. Through assumptions and misunderstandings, people thought that Charity Caswell was his wife. Tattooed by Suzanne D. Williams was a great story and once I started I could not stop reading until I had finished the book at two in the morning. I don’t really care for tattoos but after reading a few pages I forgot about the tattoos. Holden Lang was a rock drummer and had fame, fortune, and a body covered with tattoos. His newest tattoo was “Laura” the name of the woman he hoped to marry. 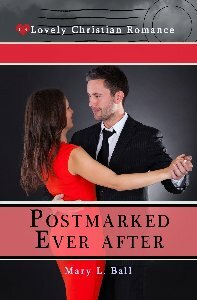 Laura refused his marriage proposal so he went to the tattoo artist who did all his tattoos and had her cover the name with another tattoo. Unfortunately, her ex-husband came into the shop and in a fit of jealously he threw Holden through the window of the building and then began beating him senseless. Charity Caswell just happened to be in the area looking at a site to rent for her bookstore when Holden came flying through the window. She called 911 and then all the mix ups began. The EMT thought she was Holden’s wife and that information spread through the hospital and then to the news media. At this point the story REALLY became interesting. Even thought I do not care for tattoos or rock music, I think this may be my favorite story by Suzanne Williams. I was lost in the story from the very beginning. Her development of the characters of Holden and Charity were so well done that I felt as if we were good friends. All the other characters were also well developed and I felt as if I knew each one personally. Suzanne has a knack for scene development and I was feeling every punch that the ex-husband was giving Holden. I also experienced all the feelings of doubt and other misgivings that Charity was dealing with for they were so vividly written and I could almost feel the pain of Holden as he went through physical therapy. There were twists and turns in the story and one that dealt with Charity and her ex-fiance was a complete surprise. This was a story that touched my heart and showed how God is willing to heal the body, soul, and mind if we just ask, have faith, and believe. I liked the comment that we are “tattooed” on God’s heart. Never thought about tattoos that way. I hope there will be a sequel about Charity and Holden and I would also like to read a story about Julie and Eric. I highly recommend this book to all that enjoy a great Christian love story and one that shows what the love of God can do in a person’s life. Niccolo Cavatelli is a well known cellist but he has cut himself off from the outside world and lives in isolation. Play It For Me by Suzanne D. Williams is the last book in the Italian Series and I for one hate to see the series end. 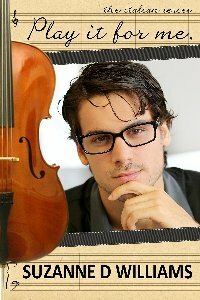 Niccolo Cavatelli is a well known cellist but has cut himself off from the outside world. His entire world is music and even though he hears notes night and day, they do not contribute to the security he so strongly desires but adds to his isolation as does his lack of faith and trust in God. Nancy Dennis, a lady in her fifties, has stayed with Niccolo for the past three years. She is with him day and night, six days a week, and also travels with him when he has concerts. She is finally taking a week vacation and her niece, Kati Dennis, will be staying with Niccolo. There is an instant attraction between Niccolo and Kati and this leads him to write his greatest song but a thoughtless word from Kati sends Niccolo into a rage and it appears that he has lost the music. Just as with the first four books in the series, Suzanne has done a great job in developing the characters. My heart went out to Niccolo and I wanted to help him regain his life and music. Kati was so very real also but when she uttered the words that sent Niccolo into a rage, I wanted to shake some sense into her. All the scenes were so descriptive that I felt as if I were in them along with the characters in the story. When Niccolo went into his destructive rage, I was almost holding my breath for I could not believe what he was doing. But his actions did make Kati stop and think and she realized what she had done to cause him to lose his temper so violently. There were several turns and twists to the plot line but everything worked out for the good in the end. There was a happy ending but it also contained a little sadness. This story was about Niccolo but it was also about the love and salvation of God for His children. I highly recommend this book to all that enjoy a great Christian love story that also shows what the love of God can do in a person’s life. Dinah Hubley is the daughter of a prostitute and she is determined to have a better life and starts her journey by leaving the brothel that has been her home since she was born. 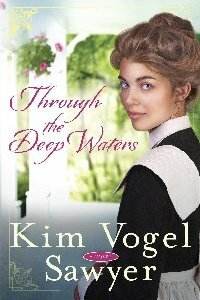 Through the Deep Waters by Kim Vogel Sawyer is a story that is depressing at times but shows what the love of God can do to erase the shame in a life. Dinah Hubley has lived her entire life of seventeen years in the brothel where she was born to one of the prostitutes and has never known the true love of a mother. Dinah has one desire in life and that is to become a Harvey Girl which will allow her to work in an upscale hotel as a waitress. Unfortunately, Dinah is not old enough to be a Harvey Girl so she accepts the job of chambermaid in Mr. Harvey’s hotel in Florence, Kansas. Dinah’s co-workers try to be friends but she feels so much shame from the life she left behind that she simply cannot accept friendship when offered to her. Amos Ackerman, a chicken farmer with a handicapped leg, becomes interested in Dinah but she withdraws even more into herself. She feels that no one can love her because of the thing she had to do to survive before leaving Chicago for Kansas. 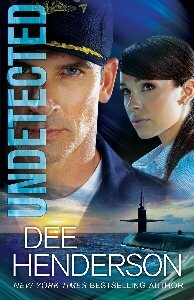 The author did an excellent job in developing all aspects of this story. The character of Dinah was so real that I was almost feeling shame right along with her. The other characters were very well developed and I felt as if I were right there with them trying to help Dinah. I especially liked Amos for he was such a kind, gentle,and loving man and I was almost in tears over the way that Dinah treated him at first when he was trying so hard to show her the love of Christ. All the scenes were so well described that I would end up feeling as if I had been working as a chambermaid all day. There were twists and turns in the plot line but they added a little suspense that made me wonder if Dinah would ever come to love herself and God. 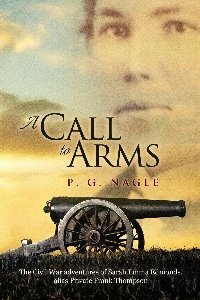 I recommend this book to all who like a very good historical story that also shows how God can restore a life filled with shame.